Want to go a step further? Get insights into how your brain performs and get personalized recommendations to maintain and improve brain health. AARP members get exclusive savings: A one-time payment of $9.99 for ongoing access while you’re a member. Nonmembers pay $35.99 per year for the program plus assessment. The assessment measures the speed and accuracy of the way you think, the way you focus, the way you remember and how you make decisions. Neuroscientists validated the tasks in the assessment, which are used by clinicians all over the world. Hundreds of thousands of users have registered, so your results will explain how you’re doing compared to people of the same gender, age and years of education. Please set aside approximately 20 to 30 minutes to complete the assessment. Answer a few quick questions about your age, gender and education to build your profile. Take scientifically valid tests that measure five key brain functions including memory and attention. Answer a series of short questions about your sleep, exercise, diet, stress and other daily routines. Personalized recommendations based on how you scored will help you strengthen your brain. 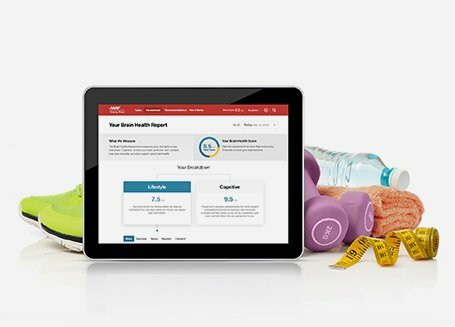 Take the assessment every 90 days to track and measure your brain health over time.